When Jewish music’s most prolific composer takes time out of his busy day for a breakfast meeting, spending almost a full hour praising a new album that doesn’t even contain a single one of his compositions, you have to figure that the album must be something truly extraordinary. The album? 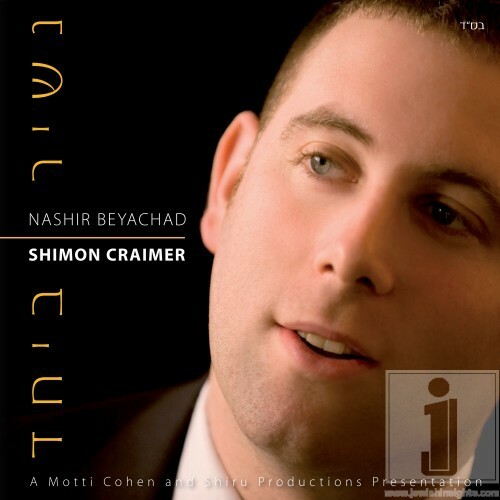 Shimon Craimer’s Nashir Beyachad. The continental breakfast at Café K in Boro Park was actually an intercontinental event. Globe trotter Yossi Green who seems to have lived all over the world and Londoner Shimon Craimer took Montreal’s Yossi Zweig (jewishinsights.com) for a journey back in time as they described how they met and how two albums later, Shimon Craimer is slowly emerging as a powerful voice on the Jewish music scene. Yossi Green recalls spending Shabbos at the home of Meyer Gurwitz in London some twelve years ago. Excited by the concept of having an illustrious composer as their Shabbos guest, one of the Gurwitz boys decided to invite two of his close friends for Shabbos as well, which is how Yossi Green came to spend Shabbos with Yossi Gurwitz, Shloime Gertner and Shimon Craimer. It was obvious from the start that all three of these young men were incredibly gifted, but it was even more apparent that of the three, it was Craimer who was the most talented of the bunch. Even at the age of nineteen, Craimer had vocal control and an understanding of pitch and voice that surpassed anyone Green had ever met. Additionally Craimer was able to accompany himself on the piano and was a talented composer as well. It was crystal clear to Green that Craimer needed to record an album. For his part, Craimer had already been working towards that very goal and had already recorded some material with a friend named Motti Cohen. The two brought their project to Green who listened to it once and deemed it fresh and original but not at all mainstream or viable. Green decided that while Cohen was a very talented drummer, he wanted Craimer to work with top notch talent and have his work arranged by professionals. 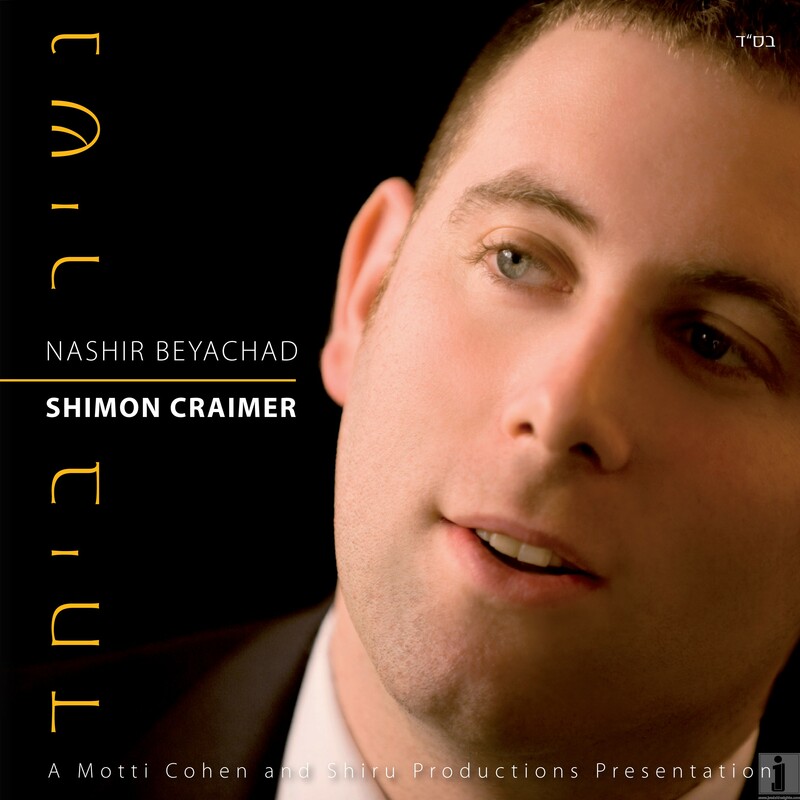 Clearly Ohad wasn’t the only one impressed by Shimon Craimer’s masterful vocals on his debut album. Craimer, who was a cantor in Edgware, a suburb of London, was snatched up as the new cantor at New York’s Riverdale Jewish Center. He has been so well received there that six and a half years later, his contract at the prestigious synagogue has been renewed and Craimer, his wife and four small children reside in Riverdale. While many equate success in the Jewish music business with CDs and high profile concerts, they overlook people like Craimer whose talents grace prestigious religious institutions week after week, who are loved and inspire people with their G-d given talents on a regular basis. Yossi Green also introduced Craimer to Michael Sojcher and Elly Zomick of Neshoma Orchestra and Craimer is now one of their lead vocalists, bringing the gift of beautiful music to weddings and Bar Mitzvahs everywhere. But the story of Shimon Craimer and his success doesn’t end there. In fact, it comes full circle as Craimer decided to revisit the original material he had played for Yossi Green so many years before. Dusting off the project, entitled V’ani Sefilasi, and hooking up once again with childhood friend Motti Cohen, Craimer decided it was time to make his original vision a reality. Motti Cohen, now an established force in the music world, who produced work for Simon Cowell and also played at New York’s famed Blue Note, brought his expertise to the project and the pair re-recorded the entire album, using Motti’s London studio. Tapping into all their musical connections, Craimer and Cohen managed to put together a very respectable album at a fraction of the normal cost. The result? Nashir Beyachad, a twelve song album, featuring compositions from Craimer himself, Motti Cohen, Andrew Gross and Stephen Levey with arrangements by Motti Cohen, John Tendy, Yisroel Lamm, Mark Anthony Henry and Vy Higgensen. While many of these names may not be familiar to the average Jewish music listener, rest assured these people are very, very good at what they do. Craimer himself does backup vocals, harmonies and together with only one other singer, even manages to capture the feel of an entire gospel choir on the song “Open Up”. Yossi Green, who had nothing to do with this album, acknowledged that doing Craimer’s first album as a Yossi Green project was a mistake, admitting “I tried to use my style songs to move his career forward and Shimon showed that he doesn’t need any help from the outside.” Green believes so strongly in Craimer that he unequivocally stated that Nashir Beyachad, Craimer’s English song, is so flawless that from now on, no other singer should ever attempt an English song, because they will never come close to achieving the level of perfection that Craimer attained with this song. If you are looking for a mainstream album that is nothing more than typical Jewish music, this album may not be for you. Shimon Craimer is not the conventional Jewish singer and with his startlingly beautiful voice he sounds like he would be equally suited to singing at a chupah or on a Broadway stage. Craimer’s style and song choices are varied and eclectic and the predictable hora or disco that are de rigueur in Jewish music are missing from this CD. Open Up, for example, is a gospel version of Baruch Chait’s Pischu Li, with music and arrangements by Harlem’s Mama Foundation and a full sounding gospel choir consisting of only Craimer and John Tendy. The title track, Nashir Beyachad has already been selected by five schools in Westchester County for use in their upcoming graduations. Also deserving of mention is child soloist Eli Baigel, whose angelic vocals on Hamalach Hagoel are simply magnificent. Craimer himself feels that his new album is more indicative of who he is than his previous one and that from a vocal perspective, Nashir Beyachad is in a completely different league than his debut album. He readily admits that on the whole, this is not the kind of album you sing along with, but rather the kind of music that you listen to. Green agrees with that assessment, saying that Craimer is a performer, and his songs showcase his unique range and vocal abilities. As for the eclectic song selections, Green strongly suggests that people listen to the album and give it a chance, because as with any really good album, it can take time to get used to something new. Whether or not an unconventional album will be accepted by the typical “Chassidishe” Jewish market is always a difficult question for any artist who tries something a little off the beaten path. Green laments that this particular question puts a literal stranglehold on artists who think out of the box and contends that music is created by a singer and a composer and if they feel strongly enough about their music to invest their time and money into an album, it should be heard. While not everyone may embrace a song that doesn’t quite fit the mold, many will. Green suggests that unlike politicians who constantly look behind them to gauge public opinion, artist need to look forward, take on new challenges and the listening audience will follow their lead. Perhaps Yossi Green summed it best, saying “Our job as artists is to push the envelope and take people along on the journey of music we are taking.” It is clear that Shimon Craimer has embarked upon a journey that will most certainly be long and noteworthy. We look forward to sharing it with him.